In a recent project, a client had the objective of encouraging employees to opt for the cash alternative in order to reduce the administration associated with a growing company car fleet (currently approximately 25 cars). 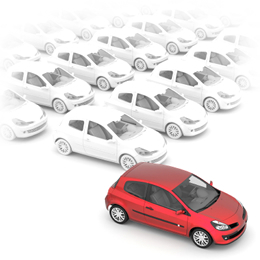 The client was also keen to avoid the administration and complexity of a structured Employee Car Ownership Scheme. Our approach was to introduce the CAS web-based system backed by an employee communication exercise (including an employee helpline) to allow employees to make an informed choice when choosing between a company car and the cash alternative. The result in the first year was a staggering 80% take up of the cash option despite the fact that the level of the cash allowance itself was not out of line with market rates. The overall cost of the project was less than the first year employer NIC saving. However the most significant savings were due to the substantial reduction in car scheme administration.